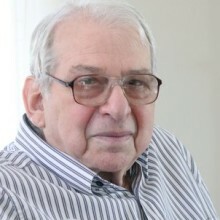 Dr. Lester Grinspoon is Associate Professor Emeritus of Psychiatry at Harvard Medical School. Grinspoon was senior psychiatrist at the Massachusetts Mental Health Center in Boston for 40 years. Dr. Grinspoon is a fellow of the American Association for the Advancement of Science and the American Psychiatric Association. He was founding editor of The American Psychiatric Association Annual Review and the Harvard Mental Health Letter. Grinspoon was editor of the Harvard Mental Health Letter for fifteen years. Dr. Grinspoon became interested in marijuana in the 1960s when its use in the United States increased dramatically. He “had no doubt that it was a very harmful drug that was unfortunately being used by more and more foolish young people who would not listen to or could not believe or understand the warnings about its dangers.” When Grinspoon began studying marijuana in 1967, his intention was to “define scientifically the nature and degree of those dangers” but as he reviewed the existing literature on the subject Grinspoon reached the conclusion he and the general public had been misinformed and misled. “There was little empirical evidence to support my beliefs about the dangers of marijuana,” and he was convinced cannabis was much less harmful than he had believed. The title of Marihuana Reconsidered “reflected that change in view.” He has testified before Congress, and as an expert witness in various legal proceedings, including the deportation hearings of John Lennon. Grinspoon worked with Ramsey Clark on a number of international marijuana related incidents. Grinspoon is widely known as the author or co-author of several cannabis/psychedelic-related books, including Marihuana Reconsidered (publication dates 1971, 1977 and 1994), Psychedelic Drugs Reconsidered, Marijuana: The Forbidden Medicine and Psychedelic Reflections. The first two were published during the 1970s, when it appeared cannabis was well on its way to nationwide decriminalization in the United States. Marijuana: The Forbidden Medicine was published in 1993. It describes a variety of ailments for which cannabis ingestion may be indicated. Grinspoon contributed a chapter to Jefferson Fish’s book How to Legalize Drugs. 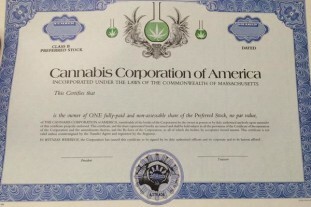 Dr. Grinspoon runs two websites: 1) Marijuana: The Forbidden Medicine that includes thousands of individual anecdotes concerning the medical uses of marijuana as well as Q&A; and 2) Uses of Marijuana that allows for people to submit essays relating to the ‘enhancing’ effects that marijuana can have on the user. The focus is on effects which are meaningful for the individual: not merely ‘increased appetite’, but rather effects such as increased creativity, rushes of insight/new ideas, or increased appreciation for music, art and nature.